Carin van Vuuren is Chief Marketing Officer of Usablenet, a global leader in mobile and multi-channel technology and a pioneer in mobile usability. She is an experienced marketer with a diverse background and over 15 years of experience in brand-building and strategic marketing communications. Today’s shoppers are increasingly mobile-savvy and comfortable with using multiple devices and screens in different ways to achieve their goals. We have truly entered the “age of mobile,” and as a result, the effectiveness of traditional engagement strategies is in question. For retailers, this means rethinking how to engage shoppers on mobile while in the store. In a recent survey reported by eMarketer, 72 percent of respondents said they use their phone to research product prices or seek a better deal online, with 22 percent reporting that they do so often. Furthermore, according to our own research, 70 percent of in-store shoppers in the US have their smartphones on them, and 30 percent actually have them in their hands as they browse. Consumers use their smartphones in a variety of ways in the store as part of their pre-buying research, including sharing photos of products, looking up product reviews, comparing prices, scanning product barcodes, and texting or calling their friends. Oftentimes, consumers will finish their purchase on a larger screen. Today, retail organizations must focus on ensuring that consumers complete a browsing-to-buying cycle regardless of the medium they choose to purchase through. Here are three principles retailers should embrace that will help produce the highest quality experiences for in-store shoppers. 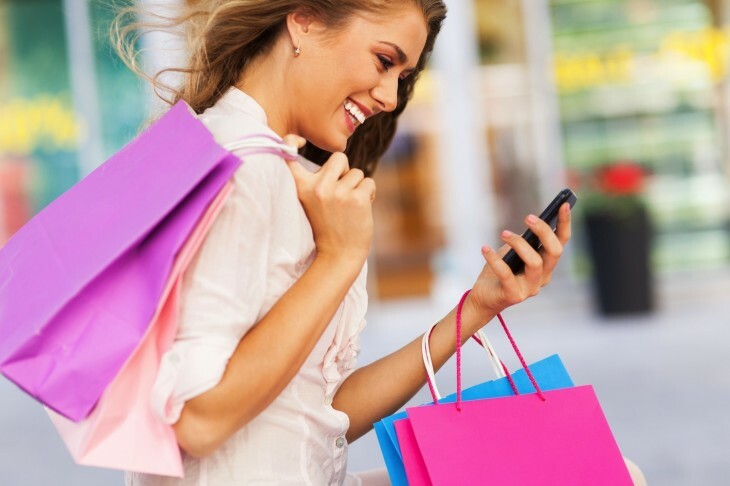 Mobile has become an integral part of the shopping journey for the average consumer and retailers must react by encouraging the use of mobile in the store. According to our research, three out of five consumers compare the in-store prices of products to the online price to identify the best deal. In addition, half of shoppers use their smartphones to search for online coupons and customer reviews. Shoppers also frequently take photos of products and prices to have on hand and to share with friends. Further, 77 percent of US consumers prefer to browse on their smartphones and make purchases on a larger device, like a tablet. Rather than discouraging price comparisons of in-store products to online, retailers need to embrace this activity and adjust pricing and sales models to ensure that in-store shoppers receive the incentives that will convert them from browsers into buyers. Retailers can accomplish this in a number of ways, such as creating compelling touch-screen experiences in the store that streamline browsing and offer functionality similar to mobile, like access to product images and social reviews. Companies can also offer mobile delivery of special offers to be redeemed in store. Today’s consumers are increasingly frustrated with the traditional shopping experiences that are not optimized for digital. They are tired of convoluted processes to achieve a desired goal, excessive shipping fees, the inability to check product availability and order from other store locations, having to register to make a purchase, and not having multiple payment options to choose from. Because of our increasing reliance on mobile phones, consumers have started to favor mobile as an essential part of the shopping experience. According to a recent study from Acquity Group, half of all smartphone owners would feel more confident making a major purchase if they had the ability to use free in-store Wi-Fi to research their purchase. Stores should consider investing in Wi-Fi in-store to embrace this trend and give customers the ability to easily use their smartphones and tablets to their fullest functionality while shopping. Kohl’s is an excellent example of a retailer that has consistently demonstrated a best-in-class multi-screen experience. When mobile users walk into a Kohl’s store and log in using the store’s Wi-Fi, they receive a special offer and a call welcoming them to the store and encouraging them to consult their smartphone while shopping. This enhanced in-store mobile experience is particularly appealing to wedding shoppers, for example, as they can browse a registry on their mobile device while viewing the products in store. When finished, they can easily purchase on the mobile device and have the items shipped directly. Retailers must deliver a true multichannel experience in the store that gives shoppers the freedom to buy when and where they choose, while also focusing on upselling opportunities that can be taken advantage of when interacting with sales associates in the store. Just as in-store self-service displays and kiosks can make sales associates more productive by freeing them from minor tasks, sales associates can also be more effective by carrying mobile devices such as tablets that make it possible for associates to communicate deeper knowledge and functionality to the customer. However, the benefits of mobile-enabling sales associates can only realized if these employees are well-trained to identify when shoppers are having difficulty with in-store mobile technology. Observing the shopper’s behaviors and expressions can prompt sales associate to intervene, answer questions, or lead the kiosk journey. The goal of these interactions should not be to capture a transaction on the kiosk as much as it is to ensure the shopper has a satisfying experience. By following these principles and creating compelling in-store experiences that leverage mobile technology, retailers will better address the needs of their mobile customers as they shop. This level of focus on mobile at every stage of the customer experience will lead to increased productivity of sales associates and better overall customer engagement in the store.